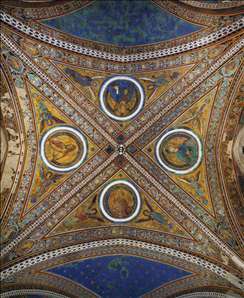 Italian painter and mosaicist. Nothing is known of his life. 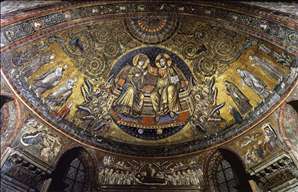 Two mosaics in Rome are signed by him: one, on the apse of S. Giovanni in Laterano, that once bore the date 1291 (or, according to some sources, 1290 or 1292); and another on the apse and triumphal arch of S. Maria Maggiore, now replaced by a 19th-century restoration but at one time dated 1295 or 1296. 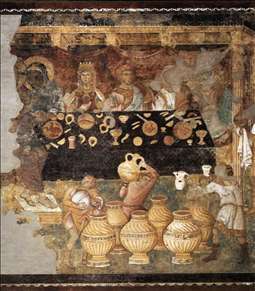 Torriti is also known to have executed a mosaic for Arnolfo di Cambio s tomb of Pope Boniface VIII (1296; destroyed) in Old St Peters, Rome. 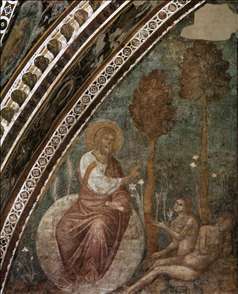 Torriti was active during the same period as Cimabue and Giotto, Pietro Cavallini and Arnolfo di Cambio, but his fame has been obscured by theirs, no doubt because of his closer links with Byzantine art. 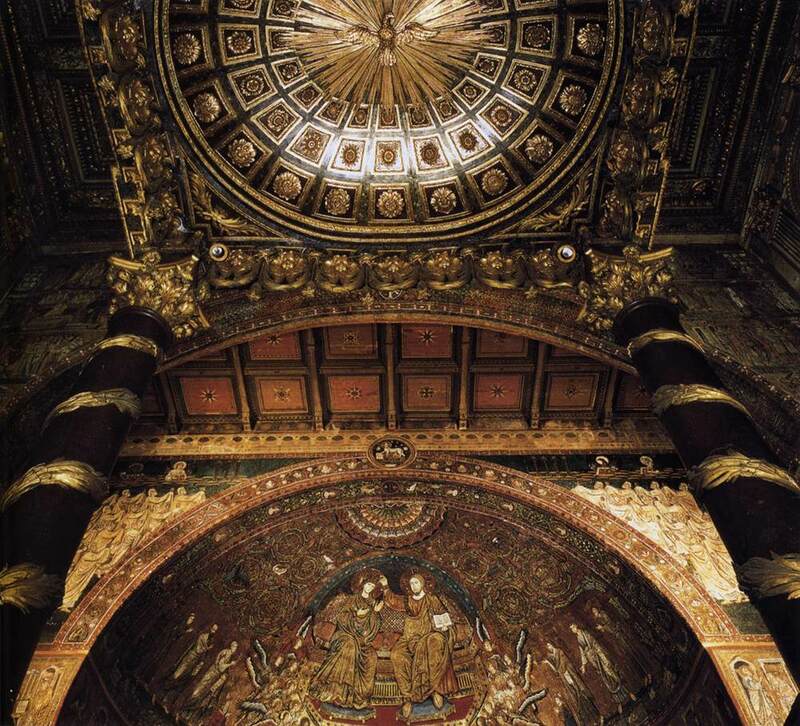 He was nevertheless one of the most important artists working in Rome during the papacy of Nicholas IV (128892) and was entrusted with some of the most prestigious commissions of the day. 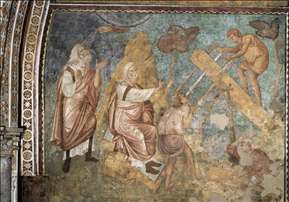 He recaptures something of the vitality of late antique mosaics; he was clearly influenced in his choice of colour by the pale delicate harmonies and silvery lights of the 5th-century mosaic on the triumphal arch of the S. Maria Maggiore. 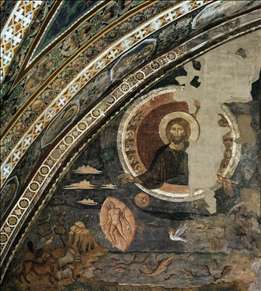 A small series of frescoes in the Upper Church of San Francesco, Assisi, has been attributed to him on stylistic grounds. See more details about "Creation of the World"
See more details about "The Creation of Eve"
See more details about "The Construction of the Ark"
See more details about "The Marriage at Cana"
See more details about "Deesis"
See more details about "Christ Crowning the Virgin"